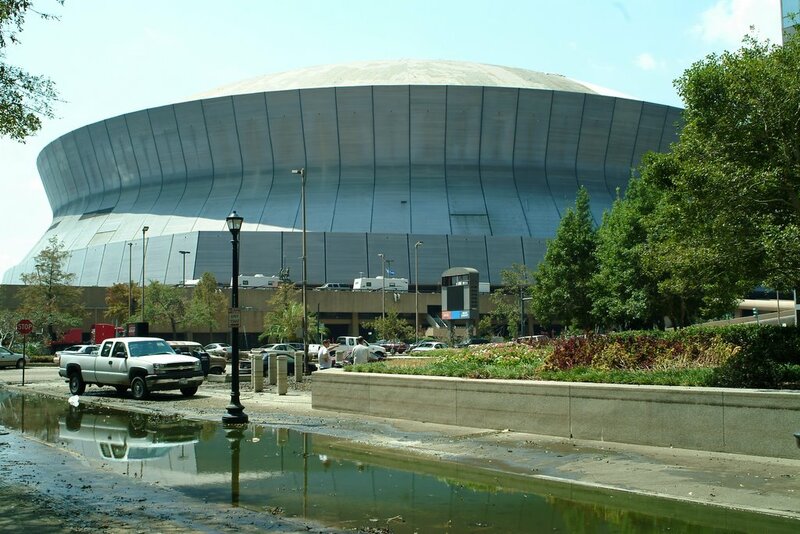 Munters Moisture Control Services (MCS) played a role in recovery efforts at the Louisiana Superdome in New Orleans after the devastating Hurricane Katrina. Superdome officials turned to MCS to stabilize the 270,000-square-foot venue to prevent further water damage, remediate mold, dry flooded areas and remove damaged materials. For TFM‘s coverage of this story, see “Worst Case Scenario” from the archives. The massive facility, home to the National Football League (NFL) New Orleans Saints and college football teams, was heavily damaged by high winds that breached parts of the building’s roof and suffered interior damage from the thousands of New Orleans residents who sought shelter there after the hurricane. Twenty-five MCS personnel and a temporary work force of nearly 250 laborers from the New Orleans/Louisiana area were used to complete the immense 45-day project. “Our role was to stabilize the environment and to initiate the recovery process,” said Brad Key, Superdome project manager and national business development manager for MCS. “We were one of the first catastrophe companies to get the facility moving on the path toward recovery. MCS also was asked to ventilate the dome to meet a certain number of air exchanges per day. This task was substantial, because the structure encompasses 125 million cubic feet. To meet the requirement, MCS installed equipment capable of exchanging 160,000 cubic feet of air per minute. “We are honored to have played a significant role in the recovery of this grand facility,” Key added. The NFL recently announced that the Superdome will reopen for football in the fall. The New Orleans Saints will play the Atlanta Falcons on Sept. 24, the first event scheduled for the facility.